Hemp plastic is a strong and renewable resource that can be largely used to replace oil based plastics. It is one of the many wonders hemp has to offer, and one that the automotive industry is now beginning to take seriously - again. Plastic is traditionally made from oil, but this is a toxic and environmentally unfriendly way of doing so. Hemp is a plant that is extremely rich in cellulose, and offers the components to make a plastic that is not only stronger than oil based plastics, but is also biodegradable, sustainable and environmentally friendly to make. 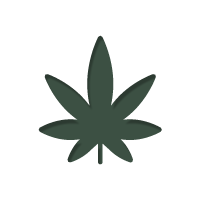 It is the stalk of the hemp plant that is of most interest, consisting of 85% cellulose. Not only this, but hemp is a highly resilient plant that can grow pretty much anywhere in a very short amount of time. What this means is that hemp is an extremely viable resource. And because it is biodegradable, anything made of it will not sit in landfills for hundreds of years in the same way that petroleum based plastics do. Advances in plastic technologies also means that pretty much anything that is made out of petroleum plastic can also be made out of hemp plastic. So why have we not seen much plastic hemp in use? Well, the production of hemp based products is not as profitable as petrol products, which is one of the main reasons, the use of hemp was prohibited. Hemp poses a threat to the lucrative business model of more than one industry. Hemp is a particular strain of cannabis that contains barely any amounts of THC. The plant has a long history of use, particularly in the earlier years of America. Many industrialists were very interested in how it could be utilised and put to use. A prime example of this was the car maker Henry Ford. Ford had his own hemp plantation and was one of the first people to use it as a plastic. He was documented producing a car from it. A car he said had an impact strength ten times stronger than that of its steel counterpart of the time and was highly sustainable, as it was “grown from our own soil”. Ford largely intended to roll out this cheaper to produce and much safer car on a large scale, but unfortunately other industrialists got in the way. Many believe that it was actually hemp that led to the prohibition of cannabis, and not the other way around. Hemp posed a large risk to big oil that was just beginning to flourish, as well as other industries such as tree felling who largely dominate the paper market – hemp had the potential to replace them both. Three big corporations that led to the prohibition of cannabis were Hearst, DuPont and Mellon, all of whom campaigned and funded efforts for the criminalisation of Hemp – they said it was the cause of crime and a scourge to middle class America. However, Hearst owned a large amount of timber, and both DuPont and Mellon had large stakes in oil. Fortunately, much of the damage of the past has begun to unravel. Hemp is once again being grown in America and across the world, with the industry now slowly growing. Within the last few years, a major industry has begun to re-awaken to the use of hemp plastics for all of their benefits. This is the automotive industry. Manufacturers such as BMW, Chrysler, GM, Ford, Honda and Saturn have been using hemp plastics and composites for door panels and trunk lids etc. With each passing model implementing more and more. A prime example of this is BMW’s new i3 electric car which has utilised the use of hemp plastics to reduce its weight. It has resulted in a car that is only 2,700 pounds, 800 pounds lighter than its competitors. This not only means that the i3 is greener than its counterparts, but can also go further due to it having to power less mass. Faurecia, another automotive company is set to be the first to become the first to produce 100% bio plastics, with hemp being at its heart. They aim to have their product, known as BioMat in full production by 2016, meaning that we could be seeing the return of the hemp car in coming years. It is an exciting prospect, to see one of the largest industries in the world could move its emphasis and reliance away from oil, brining about the much needed ecological renaissance.